If you believe those who spin the mill of rumors, Fox has undertaken a massive effort this year to make Super Bowl LI apolitical. For example, Entertainment Tonight had a report, which was vehemently denied by the NFL, that the league told halftime performer Lady Gaga not to mention President-elect Trump during her show. If getting “outside the box” was the goal of this ad, 84 Lumber definitely achieved that. Still, it’s interesting that the NFL is so tightly policing this particular Super Bowl. They did not exercise such oversight last year when Beyoncé performed her extremely anti-police song “Formation,” during the halftime show. 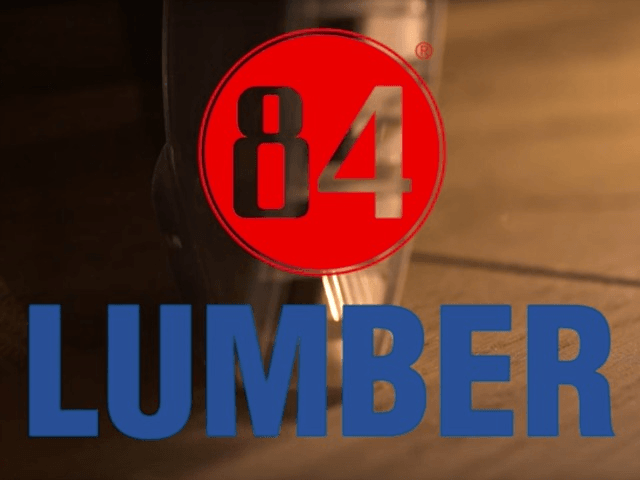 Of course, that event occurred during a highly-rated and long-form halftime show and not in a 90-second commercial ad, such as what’s happening here with 84 Lumber. Certainly, 84 Lumber should not be allowed to construct a giant replica border wall during the halftime show, even though that might be the greatest thing ever. But, if a performance that denigrates and endangers police officers can get an entire halftime show, a 90-second border wall commercial can get some love, right?